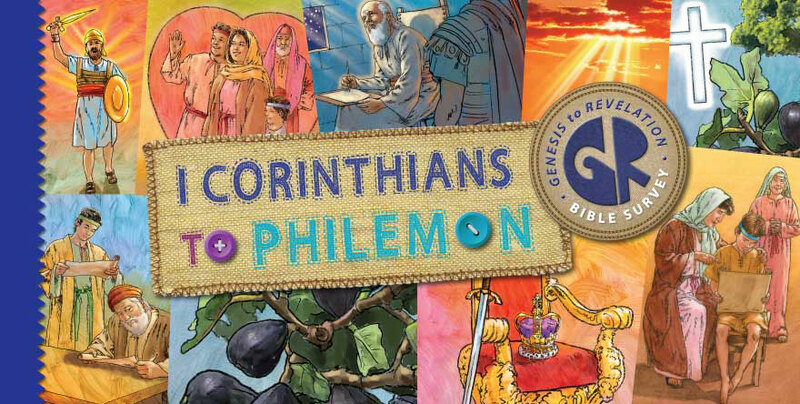 In 1 Corinthians to Philemon, the seventh of eight G2R Bible Survey studies, we continue our journey from Genesis to Revelation—this time focusing on 12 New Testament letters, all sent by the apostle Paul. Click here to see the master plan. In the previous study, we zeroed in on Romans, Paul’s letter to the church in Rome while he was in Corinth on his third missionary journey. This time we will travel with Paul to see how he dealt with the other churches he wrote to while teaching, traveling, and being imprisoned for the gospel. The treasury of instruction found in Paul’s letters is not just for believers back in the first century; it is for God’s people today! Paul wrote to counteract false teaching, explain God’s message of salvation through Christ, and challenge believers to live godly lives controlled by the Holy Spirit. He opened his letters with praise for God’s grace in Christ and closed with an encouraging word and blessing. We pray that these lessons will strengthen your students’ trust in and love for Christ as they hear these encouraging and instructive words from a man who grasped to the core of his being that he was saved by grace. As you go through these 13 lessons, you are helping your preteens and young teens see how they fit into God’s redemptive work among his people and how these books are part of God’s single story of salvation from Genesis to Revelation.